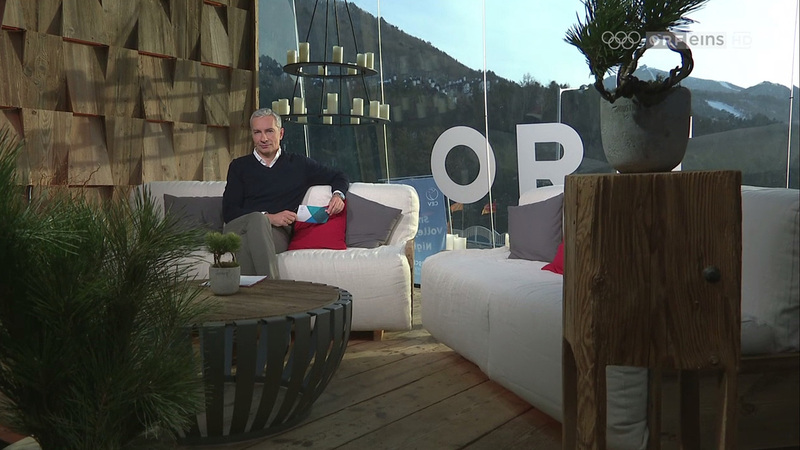 For its coverage of the 2018 Winter Olympics, Austrian broadcaster Österreichischer Rundfunk (ORF) has created a ski lodge inside the bustling Olympic Village. ORF has located its studio on the first floor of the Austria House, a venue which serves as a hospitality location for the country of Austria providing a space that mixes business, tourism, politics and the media. 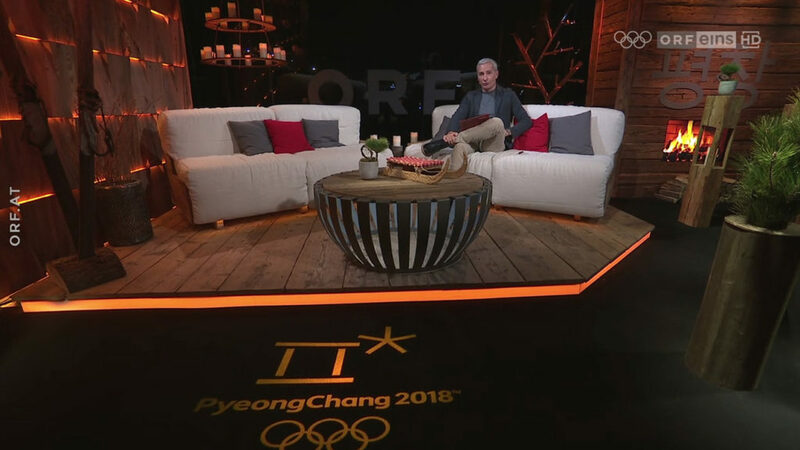 The move immediately separates ORF from many broadcasters inside the International Broadcast Centre, moving them closer to athletes and VIPs for interviews in the PyeongChang Mountain Cluster. With a space of about 100 square meters, ORF’s studio includes warm wood tones, a faux fireplace and large glass windows overlooking the Village. 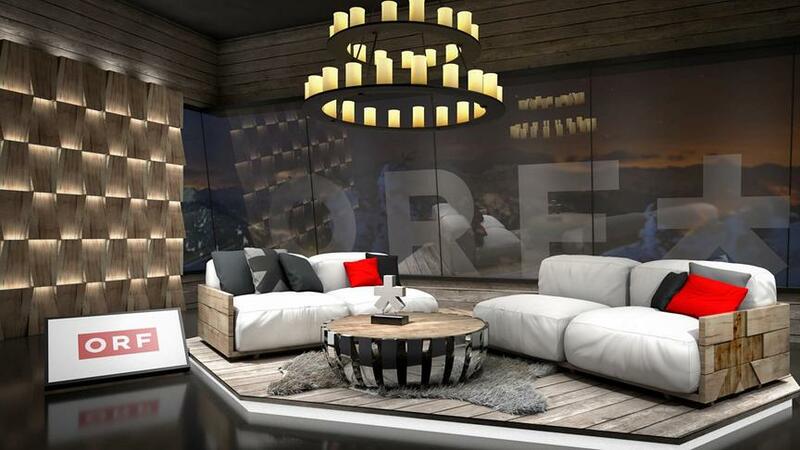 To the left of a large seating area, a wood wall with integrated lighting provides a distinct background, while a faux candle chandelier overhead adds to the rustic look. A rendering of ORF’s main space inside the Austria House. 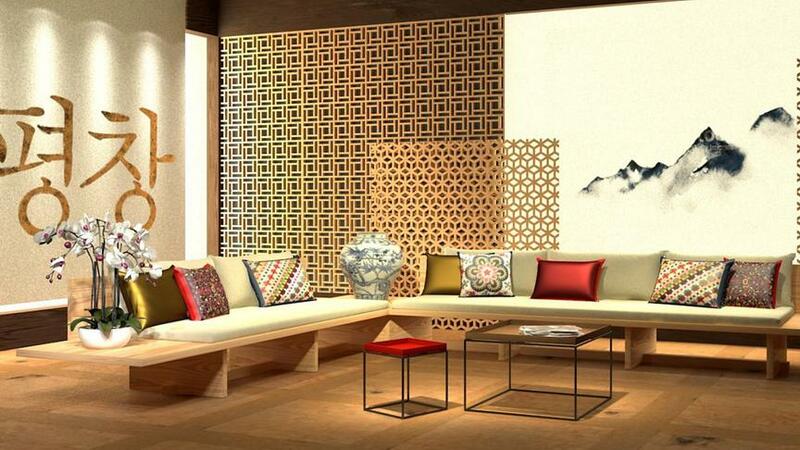 A second studio includes elements with a more traditional Asian inspiration including patterned screens and large calligraphy on the wall. A rendering of a second studio space inside the Austria House. Coverage on ORF and ORF Sport is led by Rainer Pariasek, Oliver Polzer and Alina Zellhofer, with over 620 hours of live coverage from PyeongChang. “Olympia Studios” anchors the daily lineup, broadcasting from the Austria House studio space with updates and interviews alongside live event coverage. 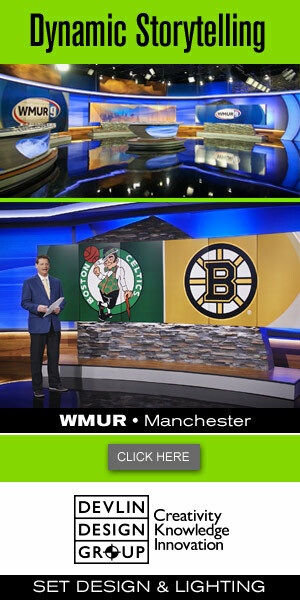 Graphically, ORF is powered by Vizrt and using the main OBS intro and insert graphics, adding additional on-screen elements as needed.